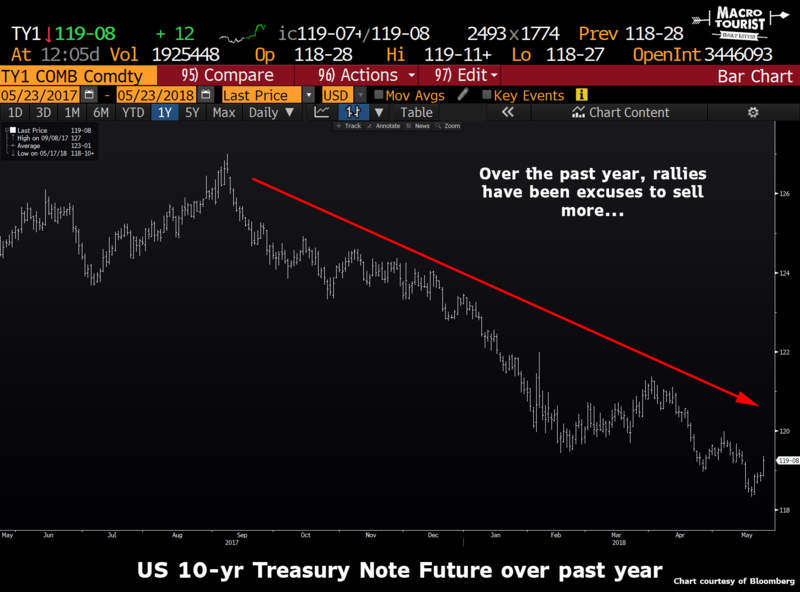 However, given the recent bond bear market, nowadays the tide has turned to the point where anyone suggesting we might see a bounce in bonds is equally chastised for not fully grasping the atrocious fundamentals surrounding the US debt market. Here is a great chart I lifted from a Bloomberg article titled “Corporate Bonds Sink Fast in One of Worst Tumbles Since 2000 by Cecile Gutscher that shows the rolling 100-day return of the JPMorgan bond index. Funny how prices make opinions and not the other way round. I know all the “gurus” love drawing trend lines and proclaiming that if such-and-such level is broken we will have definitely entered a secular bond bear market. Call me old-fashioned, but I think when a major asset class experiences the worst performance in years, it’s not time to hop aboard the bandwagon by grabbing a stack of pink tickets. It seems the bond market can now be broken up into two camps. The first is the “we will never abandon our secular deflation call” bulls. This group is a little beaten up, but a core contingent refuses to believe the secular downtrend in interest rates is over. Chances are that you can most likely name the more celebrated members of this club. 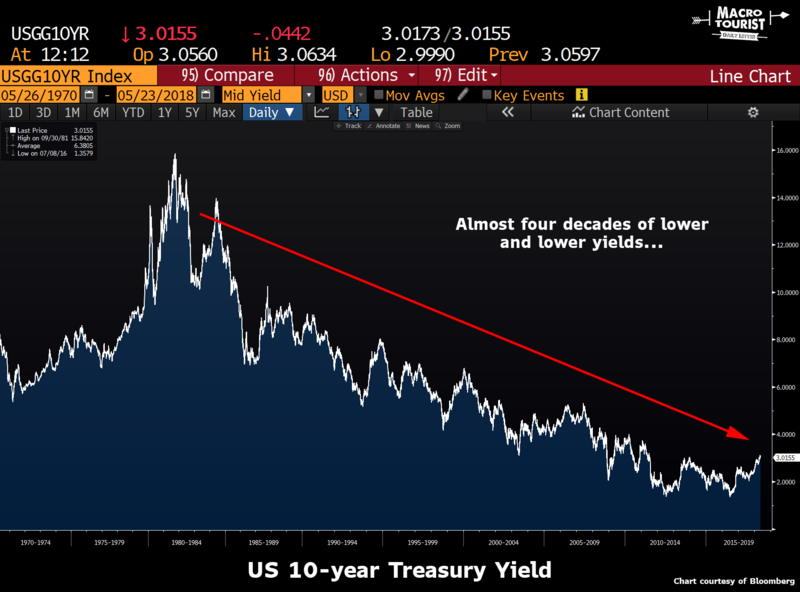 Some of these disciples claim that long-term interest rates in the United States will eventually go negative - just like Japan and Europe - before the bull move in fixed-income is complete. The other group is the newly minted bond bears who are feeling pretty smug about themselves right now. After all, every recent rally has been a chance to write more sell tickets. There can be no denying that the technicals are terrible. Bonds are trading like death. But it seems to me that this group is convinced we have entered a secular bond bear market that will overwhelm any potential counter-trend cyclical bullish move. 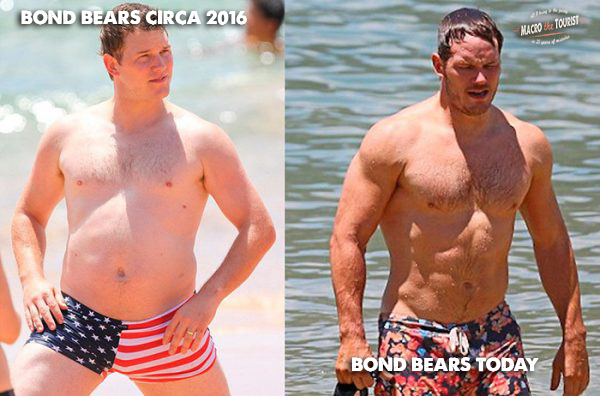 It’s no surprise I believe bonds have entered a secular bear market. I have long been Alaskan-Peninsula-brown-bearish on bonds, so I am not about to abandon that position easily. Yet it surprises me how few are calling for a cyclical bond rally. Market pundits either think the almost four-decade-long bull market will soon reassert itself, or they believe bond yields are headed another 100 or 200 basis points higher as the bond bear market picks up steam to the downside. There doesn’t appear to be any nuance to either argument. Here’s something to think about - what if the next move in bonds is higher, but it is only a cyclical bull move in a new secular bond bear market? The loneliest idea out there is the belief that US bonds are due for a rally, but this rally (which will last for a quarter or two) will be a great opportunity to get short the bond market. Let’s not forget that there will be tons of cyclical moves within the bigger secular bond bear market. I might be getting too cute, and it would be just like me to miss a big move lower in bonds trying to play for a counter-trend rally, yet I can’t help but feel the time to have been aggressive with sell tickets was when no one believed rates could go higher, not today when the sole voices calling for lower yields are the perma-bulls.